The Northern Trust Company Building designed by Frost & Granger c. 1905 at 50 South La Salle Street in Chicago, Illinois. 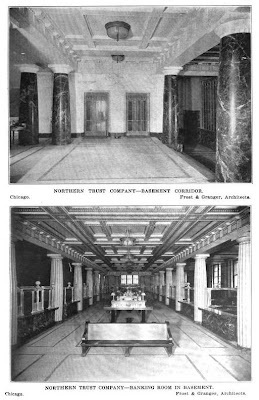 Northern Trust is a financial services company founded in 1889 by Byron Laflin Smith. 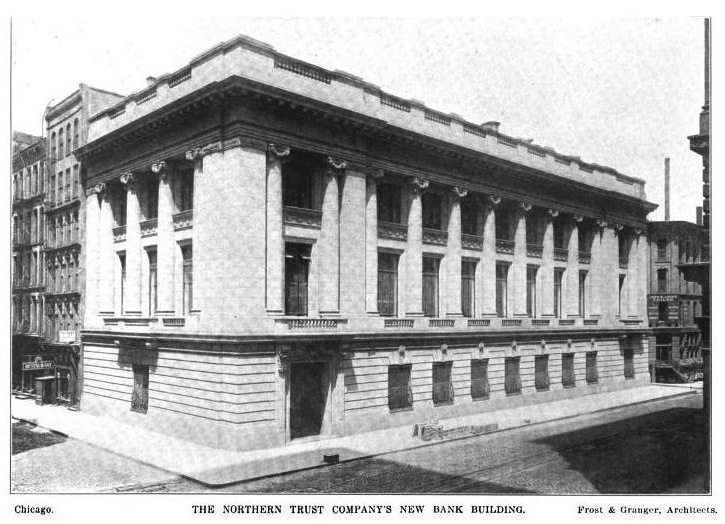 Click HERE to see the Northern Trust Company Building on google street view. 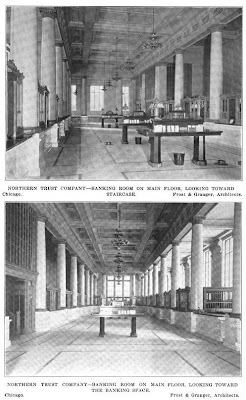 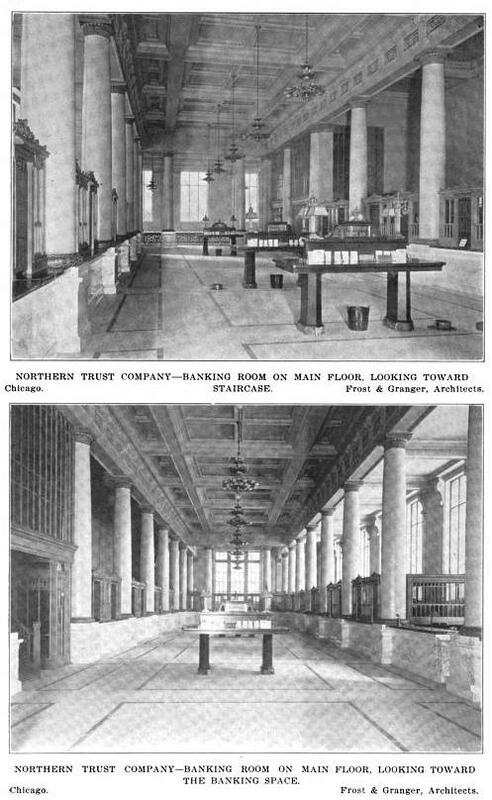 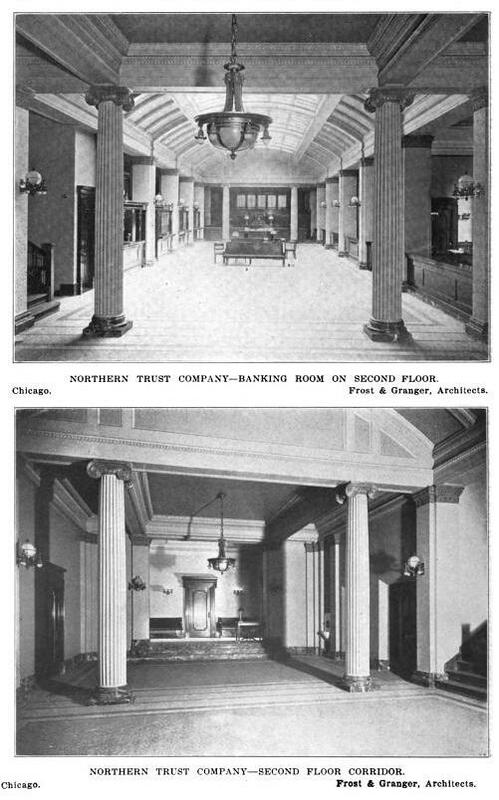 Photos from Architectural Record, 1907. 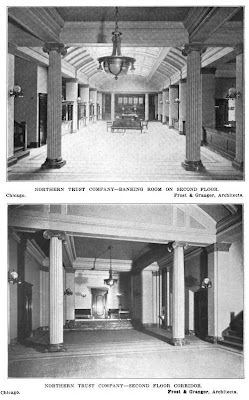 Our small town banks up here are all designed to lull us into believing we're dropping in on friends in their living rooms. I much prefer this model, in which there is a sense of ceremony and grandeur to the process. 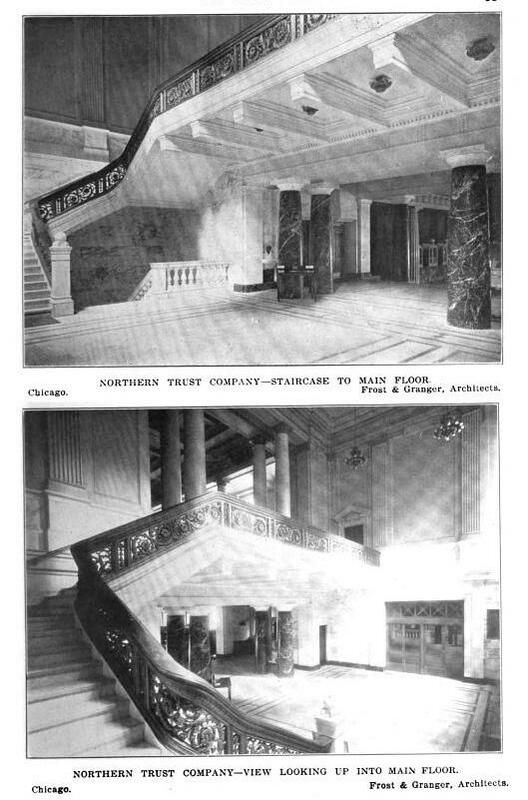 Can't you just see Johnny Depp leaping over the counter, Thompson tucked under his arm, fedora firmly in place?